Before you get all shocked and wonder if we’ve lost our marbles over at Bagaholicboy, know this. A bag is described ‘as a container with an opening at the top, used for carrying things’. 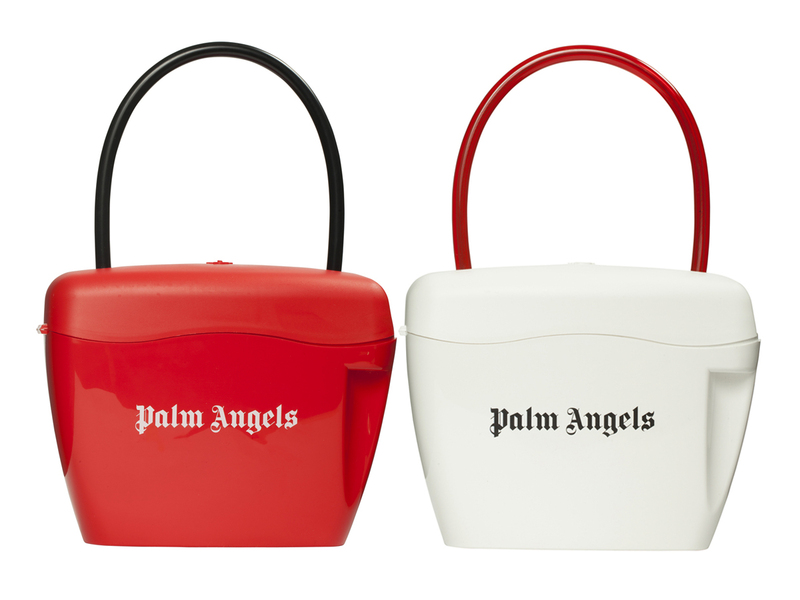 Which is exactly what the Padlock Bag from Palm Angels quite literally is. Measuring some 18 cm by 22 cm across, the 100% PVC bag can be opened on the top via its flip cover, snapped shut and used pretty much like you would a regular bag. Finished with the Palm Angels logo right on the front, these babies are pretty much sold out everywhere. And with a retail price of just EUR95, it is no surprise at all, to be honest. These bags are certainly different! Love the colours.